Moscow harshly condemns an international military operation against forces loyal to Libyan leader Muammar Gaddafi, while Washington downplays its role in the hostilities. It has taken US President Barack Obama just over one year – and less than that if we consider that he earlier agreed to keep open the Guantanamo Bay detention facility – to damage his Nobel Peace Prize, awarded in Oslo, Norway in October 2009. 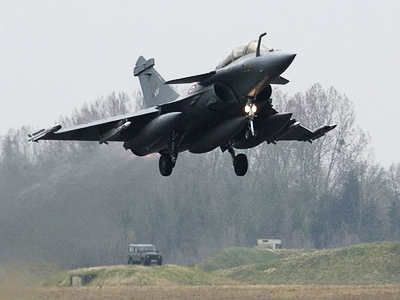 US warships and submarines fired more than 110 Tomahawk cruise missiles into Libyan territory to disable air-defense systems, allowing French and British fighter jets to more easily enforce a no-fly zone. 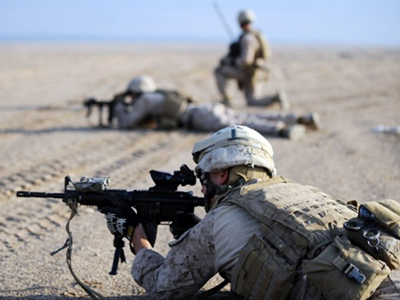 The attack on Libya marks the third Muslim country that the United States is now engaged in military operations with. So much for "sitting down and talking with enemies," as Obama promised to do during his political campaign for the US presidency. It should be no surprise that Washington is going out of its way to disassociate itself from the Libyan military campaign, or at least the leadership part of it. Observers say Washington’s reluctance to advertize its hefty contribution in the military operation suggests that the Obama administration, already under attack inside of its own party for “towing the Bush line,” is an attempt to deflect hostility from the Muslim world, not to mention Main Street, U.S.A., which certainly cannot afford to foot the bill for yet another overseas adventure. Incidentally, Saturday’s attack also marked the eighth anniversary of the start of the Iraq War, begun by Obama’s predecessor, George W. Bush. Russian officials have slammed the US missile attack, while calling on the international coalition to stop the “indiscriminate use of force” it says has killed civilians. Foreign Ministry spokesman Alexander Lukashevich said the air strikes exceed the mandate of the UN Security Council resolution, which approved a no-fly zone and authorized all necessary measures to protect civilians. "We are emphatically urging the coalition states to stop indiscriminate use of force," Lukashevich told reporters, according to Interfax. "We are firmly convinced that the mandate deriving from Resolution 1973 of the UN Security Council, which was adopted as a rather controversial step, cannot be used for attaining goals going clearly beyond its provisions, spelling out measures solely intended to protect civilians," he said. As “Operation Odyssey Dawn” kicked off on Saturday, missile strikes delivered on Libya also hit non-military facilities in the capital of Tripoli, as well as in Tarhuna, Maamur and Jmeil, Lukashevich said, before providing a grim picture of the attack’s collateral damage. Russia announced Sunday that it was evacuating some of its diplomatic staff and other citizens from Tripoli. 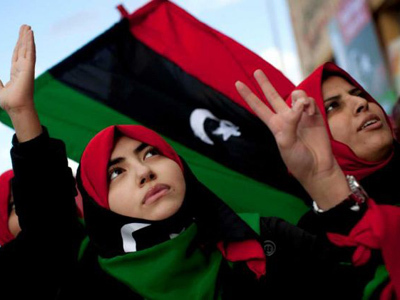 The UN Security Council voted on Thursday to impose a no-fly zone against pro-Gaddafi forces, which has been accused itself of using inordinate force against anti-government forces. Russia and four other council members – China, Germany, Brazil and India – abstained from the vote. 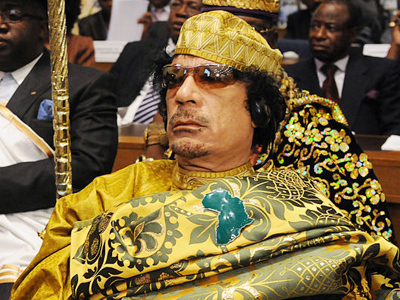 According to Gaddafi, Tripoli regards the West's military operation against Libya "as an unlawful invasion of a sovereign state and sees it as nothing else but an act of terrorism." 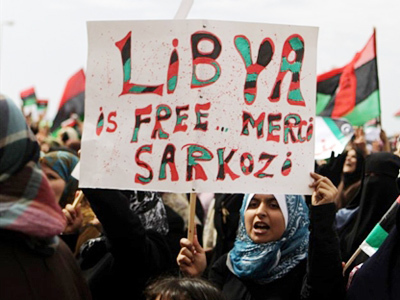 Libya, incidentally, is ranked as one of the top-ten biggest oil producers in the world.